Brock Lesnar is back, and he wants to return with a vengeance! 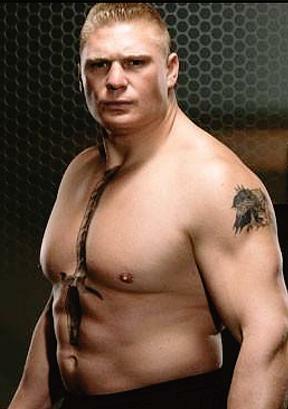 Former UFC heavyweight champion, Brock Lesnar, announced that he is now ready to come back in the Octagon. He broke the new via sponsored video last Thursday, where he proclaimed that he’s finally healthy after his surgery due to Diverticulitis. He also stated that he plans to reclaim his UFC title. However, he didn’t mention as to when his Octagon return would be. Nevertheless, there is no telling on how quickly he could get back to action since UFC 139: Cain Velasquez vs Junior Dos Santos is all set. UFC is yet to comment on Brock Lesnar’s return. But there is UFC 140, which is set to take place in Toronto, that do not have a main event yet. Adding the former heavyweight champion in this lineup could be a perfect fit. What do you think? Share your insights by dropping a comment below.